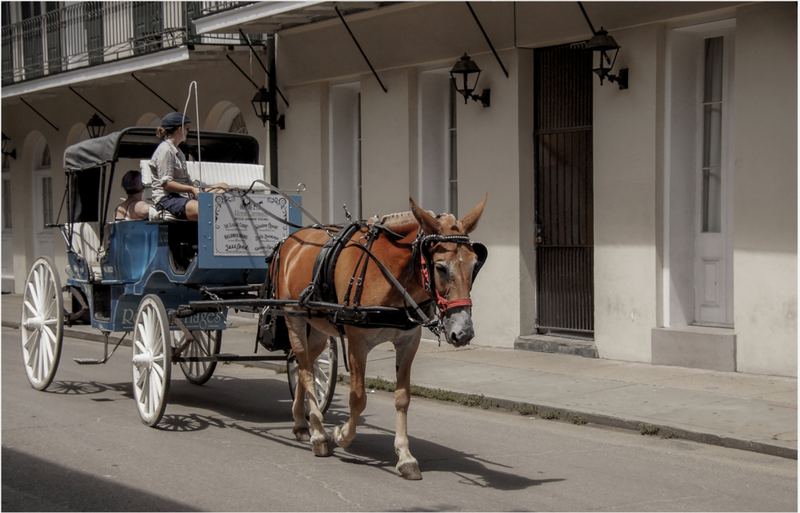 A 3-day guided experience of the Big Easy. 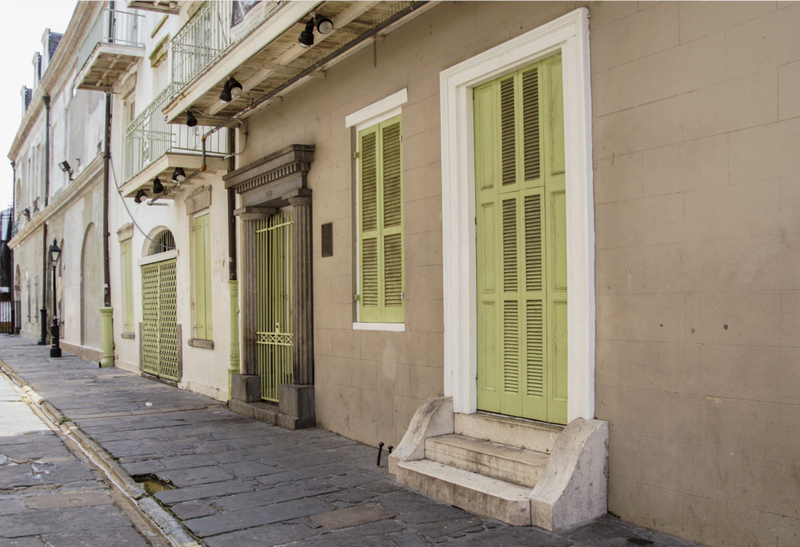 You'll swing and dance to the sweet sounds of jazz on the lively streets of New Orleans. 2 nights in a boutique hotel, a cultural haven filled with African, French and Spanish identities in the heart of NOLA. Curated itinerary based on our personal favorites. Email support and outstanding customer service. Photos for days. That's right, you'll receive a selection of unforgettable images of you soaking in the NOLA experience. See and eat at the top restaurants with incredible cuisine and live music. Experience New Orleans like a local. Did we say stress free? Just show up and we’ll handle the rest. You’ll sleep in the Vieux Carré (also known as the French Quarter). The oldest section of the city with an incredible amount of art and architecture. You'll experience history, culture and adventure in a way that most tourists miss. This 3-day trip offers plenty of opportunities to indulge in the NOLA food scene all while digging deeper into the rich culture and history of the city. You'll explore the local jazz scene and discover exactly why New Orleans is a music haven. Plus you'll dance off all that delicious creole cuisine with energetic live music experiences. Are you a New Orleans local looking to join us? We have special accomodations for you. Email us at TNtrips@blavity.com to book your space. AND WE’D LIKE TO PERSONALLY INVITE YOU TO JOIN US. Traveling to New Orleans with someone who knows the land is entirely different from taking it on alone. You’ll get the best stuff compressed into one weekend of phenomenal highlights. Coming with Travel Noire is so much easier than traveling by yourself, guidebook in hand, crossing your fingers for the best. You'll get to hang with phenomenal people from around the world, and you'll want to experience the best of a new destination with someone who understands the culture and the turf. THE THINGS YOU’LL EXPERIENCE WITH US CAN’T BE FOUND IN A GUIDEBOOK. Over the past year, we’ve had the honor of creating lifelong memories for travelers just like you, and we’d love the opportunity to do that for you too. WE DO THIS BECAUSE WE TRULY BELIEVE EVERY DESTINATION NEEDS A BACKSTAGE PASS AND WE TRULY THINK YOU DESERVE ONE. After you arrive in New Orleans, head on over to The Eliza Jane hotel where we will be staying for the next few days. If you’re tired from your flight, you can spend the time getting settled into the hotel, taking a luxurious nap, or chatting with your fellow travelers. We will have a Welcome Mixer in The Press Room of the hotel for the group that evening. You will have an opportunity to explore the city for dinner as a private shuttle will pick you up for our private Meet and Greet/Tour with artist and activist Brandon B-Mike Odums at Studio BE. We'll be spending today exploring the old city! 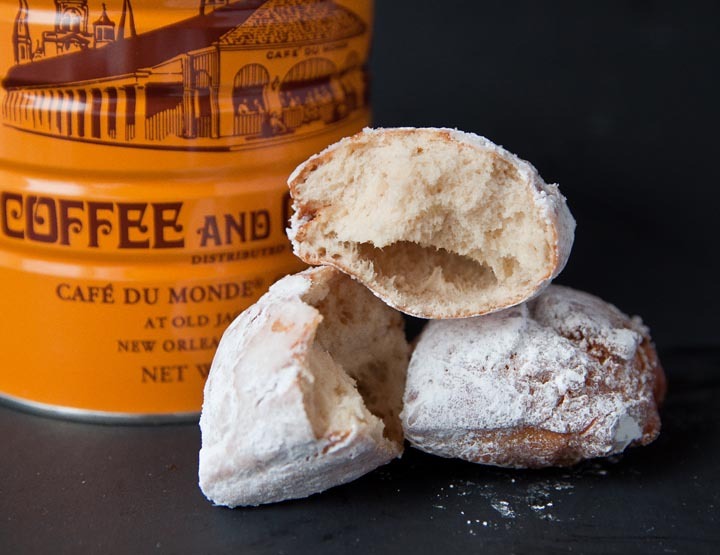 Begin your morning with Coffee & Beignets at the infamous Cafe Du Monde. Soak up the warm NOLA sun and let to the jazz sounds fill your ears. We'll then head to Le Musee De f.p.c, a historic house museum and one of the country's few attractions dedicated exclusively to preserving the culture and telling the story of free people of color. After an incredible experience at Le Musee De f.p.c, we'll head to a private lunch and cooking demonstration, where you'll learn the basics of Louisiana cooking in a way you’ll never forget! All the Gumbo, Jambalaya and Pralines you can eat! After a hearty lunch you'll head on a walking tour with a local guide who will immerse you in the past and present history of African Life in the French Quarter. Now here comes the time you’ve been waiting for; a mid-afternoon break! We'll head back to the hotel for some much needed rest and relaxation. Then get ready to liven back up! We have a VIP experience planned for you at The Maison on Frenchman Street to end your day – New Orleans style. If you feel like waking up early today, you can have breakfast before we check-out of the hotel. The private shuttle will pick us up and we’ll head to the Whitney Plantation for a life-changing historical tour. The bus will pick us up and we’ll head back to the hotel for lunch and leisure departures. A decade of traveling means that we know what it takes to have a good time, anywhere. And now you do too. During your experience, your group will be accompanied by a private photographer ready to capture it all. That means you can leave your camera behind and live in the moment. As they say, it’s not what you know, it’s who you know. We've cultivated incredible relationships with locals over the years and you’ll meet them because we’re friends. You’ll also get top-of-the-line food and service because you’re with us. Dream about exploring the world with a well traveled friend who knows about the best food, shopping & views each destination has to offer? And is extremely positive, supportive, grounded and drama free? That's us. Our Experience Designers are so top notch, we'd spend every day of the year with them if we could. You’re not a booking number, you’re an honored guest and a valuable part of our family. No matter what time of day or night (even in the wee hours of the morning), you can count on us. We've built this brand from nothing to sold-out-in-hours experiences because we truly care about people and their journeys. We really understand you. We know what you want to see, do and experience because we were once vacationers too. But the only difference is that we now get the nuances that allow us to navigate like locals. This unique perspective will give you a “best of both worlds” experience. You want to travel the world with amazing people. We get it. Our experiences attract the best of the best. And they keep coming for more. It's not uncommon for a traveler to return home from a trip we've hosted and immediately book another. Our groups are fun-loving, drama free and a joy to be around. They've formed faux musical groups on our experiences and even travel together long after our experience with them ends. Now that's epic. Travel continuously connects you to inspiration that's proven to fuel a happy, healthy lifestyle. The most successful people in the world constantly pursue inspiration and purpose. Experiencing a sense of purpose, gratitude and vitality are all direct results of feeling inspired. And those who seek inspiration find it. We've all heard it: travel when you're older and you've saved for retirement. But travel often requires good health, which you likely have right now. If you have dreams to see the world, don't you owe it to yourself to realize them? We understand that life interjects and bills pile up. But when you look back at your life in five years, what do you want to see? Ambitions reached or dreams put out to dry? Do you feel like you’re always on the go but have very little time for yourself? We thought so. What if, just for a change, you let us take care of you? We want you to kick back and leave all the planning to us. In fact, you're gonna need time to think about the more important details: like if you’re gonna have another beineit after dinner. In a work-obsessed culture, busy is glorified, and financial wealth is superior to emotional or spiritual wealth. But this trip is about putting inner wealth and health first. Who doesn’t need more time to connect with the person they're meant to be? 2 nights at an outstanding hotel. All ground transportation to / from our activities. Accommodation is in a shared room with one other person. We also have a small number of private rooms (subject to availability). You can submit a request when registering. Your investment does not include your flight to New Orleans. Are you a New Orleans local looking to join us? We have special accomodations for you. Send us an email for more details: TNtrips@blavity.com. Oh, hi zen. Are you there? Travel Noire delivers personalized instructions, so you'll never feel alone. You can fly in early and still know exactly how to find us. You know, just a professional photoshoot of your best vacay highlights. Leave your phone behind and let our photographer capture all your memories for you. We'll deliver these digitally to you soon after you depart. A private photographer on vacation? Enough said. You get full email support from the day you book your trip until you arrive. You'll feel fully taken care of with our expert advice. Support is just a nudge away. Don’t waste time Googling, just ask us. This is group travel for people who don’t normally go on group trips. We want you to travel like a local, so we keep our numbers low. We know that small group travel is a great balance of fun and simplicity, and it’s better than traveling alone. It’s so much more fun than traveling alone. You'll meet the most epic people. It’s easier than traveling with a friend because we handle all the planning. You have the luxury of drivers and guides to help you with everything. You have a professional photographer by your side. You'll get the real deal New Orleans, not anything you can find in a guidebook. The truth is, we have an uncanny ability to attract positive and generous people from all around the world. Our guests always share with us that they aren't group tour type of people, but that they are surprised at how well Travel Noire makes it transformative and easy. WILL THIS BE YOUR FIRST TRIP TO NEW ORLEANS? HAVE YOU ALREADY BEEN TO NEW ORLEANS? Incredible. So you know how amazing it is. But think of how amazing it could be when you travel with someone who knows the locals and all the secret spots? Unless you’ve traveled with a NOLA friend and stayed with them at their home, it's impossible to not feel like a tourist. We offer an alternative to that. Then you’ll love the safety of the group, the ease of having all your hotels, transportation, activities and meals sorted out for you. You’ll love that you won’t have to worry about getting lost, getting ripped off or hassling with getting around. We take care of everything. You love insider knowledge: you value traveling with someone who knows the ropes. You enjoy eating, walking and off-the-beaten-path ideas. You're not into trying new things or stepping outside of your comfort zone. You don’t like Creole food. That is what we’ll be eating. Every day. If you’re a vegetarian, or on a restricted diet, we have great options for you. You can’t easily walk up stairs. If you find walking tough, then this trip isn’t suited to you. You’ll sleep in 1 locale for 2 nights. Our hotel is about tranquil spaces, luxurious interiors, and a beautifully manicured gardens overlooking the city architetecture - all in the center of the French Quarter. Great idea. We’ll give you tips. Fly in and out of Louis Armstrong New Orleans International Airport (MSY). We thought you’d never ask. Email tntrips@blavity.com so we can meet you and give you personal advice. Great — you’ll fit right in as our guests are looking for something different too. Think of this as a trip planned by a local friend, something you would never be able to pull off on your own. We offer you daily activities but don’t feel pressured to do anything — it’s your experience. Our guests range in age from their 20s to their 40s. Age doesn't mean much when we’re all searching for a better life. Our experiences are more adventurous, so in that sense, it does require that you are healthy and can walk or hike easily. "I was hesitant about traveling solo and going abroad with a group that I had never met. But, as a two time TN Experiences customer, one of my favorite aspects of the trips are the connections made with people who love adventure as much as I do. The thing that always sticks out the most after the experiences are the personal connections made with individuals from all ages and walks of life. This isn't something that money can buy. After my experience, I am more present with people that I meet and more open to traveling to places I’ve never been before." "I was nervous about meeting complete strangers in a foreign country. I never thought I would find such a great group of people that have become a second family to me. We participated in activities that I know I could have never found on my own. There was so much value for what I paid, I mean the hotel alone was out of this world. With transportation, food and activities included, what else could you ask for?" "My experience was worth every penny. You can tell each activity was carefully thought out and planned. You really had to dig deep and see beyond the surface. I was able to bond with AMAZING individuals that I still communicate with daily. It would have been impossible for me to plan a trip like that on my own. An experience so extraordinary must have taken tremendous effort and time. I left my experience feeling inspired and grateful for the opportunity and will definitely go on another one. An investment in knowledge pays the best interest and I can easily say booking a TN Experience is one of the best investments I've ever made! WE SELL OUT EVERY TIME.